A sister-song of salad soon. Lindsay Bandy is the coordinator for Eastern Penn Points blog. She has two little girls who love to eat salad (provided it is drenched in Ranch with cheese and croutons) and can’t wait for spring, so they can get their hands and knees dirty outside. 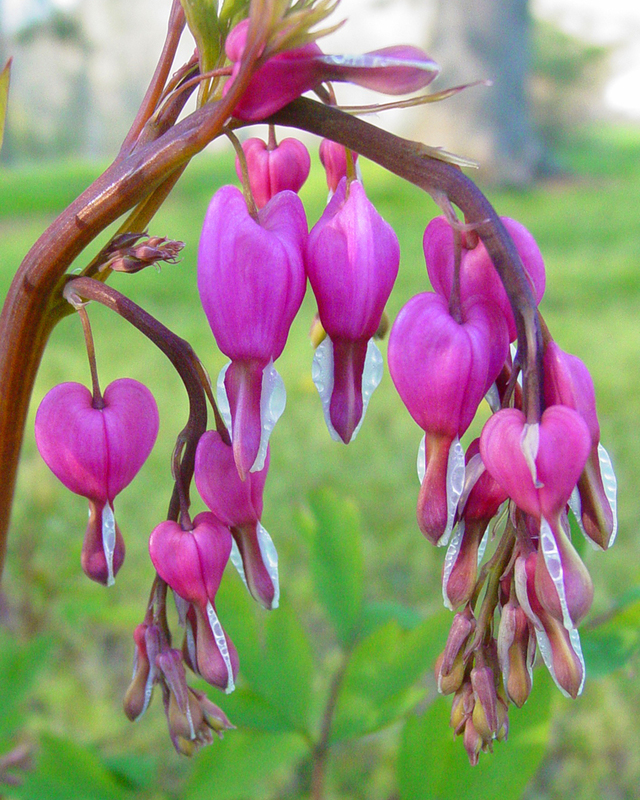 This entry was posted in #LoveMadeVisible and tagged #lovemadevisible, bleeding hearts, gardening, Kathleen Rupff, KidLit, Lindsay Bandy, photography, poetry, poetry for children, sisters. Bookmark the permalink. Love the way the words make a salad! Lindsay, LOVE your poem– What a great gift that will be to your daughters one day (or maybe now)! And thanks so much for featuring my work! 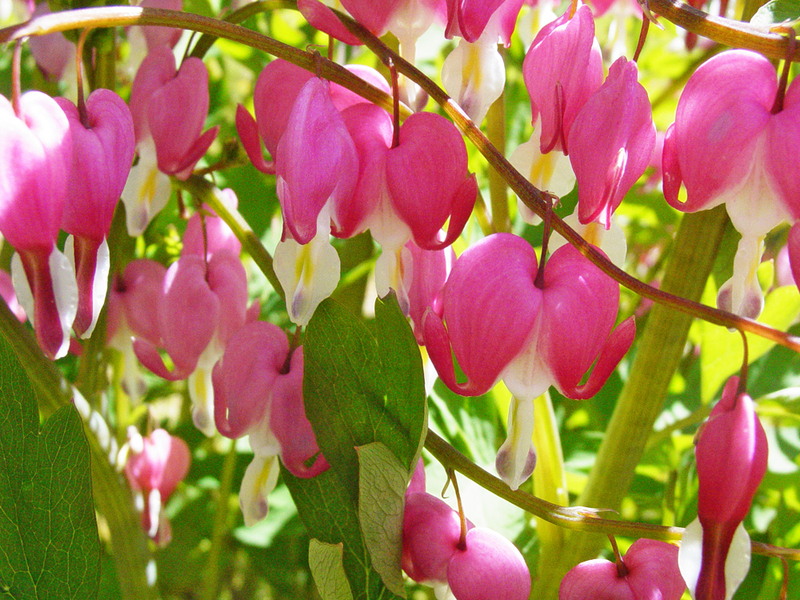 Bleeding hearts are so perfect for this grey day — and for Valentines week!! Lindsay, I really enjoyed your poem! It made me miss my sister and so excited for spring!!! It can’t come soon enough for me! Thank you for sharing! Kathleen, I can’t wait to see that bright spring green! Beautiful photos! Love the play of words and sounds, Lindsay. And thanks to both of you for the hope of spring! Delicious words Lindsay, I can just taste them! Kathy, what beautiful photographs. Love on a branch gives us such hope for spring! What a fun poem to read aloud! 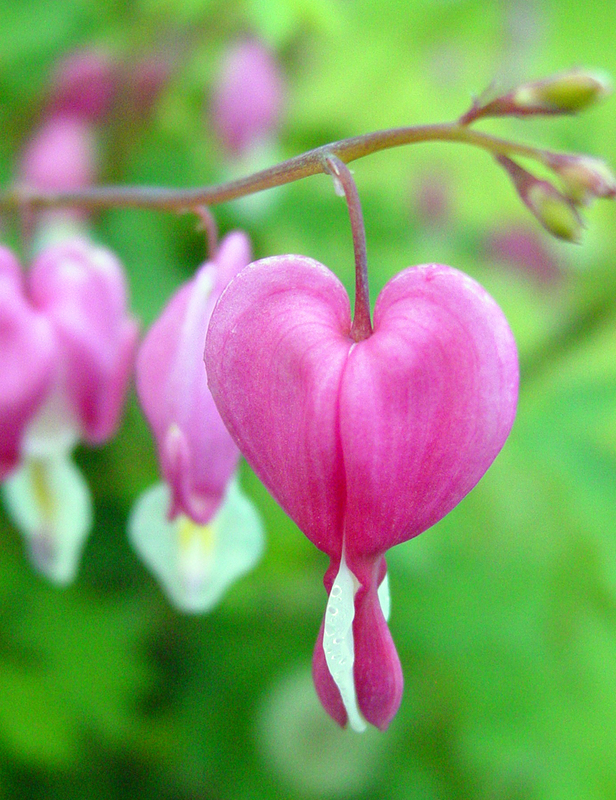 And the hearts are lovely. Thanks. Tongue twister! Great fun with alliteration. Somehow I missed this post so I’m chiming in late. My sister and I are both avid gardeners although my sister’s thumb is much greener than mine. Thanks for pulling me back into the warm smell of earth and growing things on a freezing winter day, Lindsay & Kathy.